Britain’s legal abolition of her slave trade in 1807 is one of the most admirable actions in her history, making it illegal for British subjects to deal in slaves or to carry them in British ships. The penalty for so doing was initially only a fine but as the slave trade was so profitable that this had relatively little impact. In 1811 however the penalty was increased to transportation four fourteen years. This involved being sent to Australia as a convict and set to work there either directly for the government or in indentured service to a settler. Return to Britain during this term was punishable by death. Increasing scarcity value tended to make trading even more profitable for successful operators and so this penalty did not prove fully effective. The decision was then taken in 1824 to treat those involved in the slave trade as pirates and therefore punishable by death. In 1837, however, the punishment inflicted on British subjects for trading in slaves was reduced to transportation for life. been spotted on the horizon (left) – a quick getaway is desirable! During these years however other nations also abolished the trade – the United States in 1807 (but at sea only), Portugal in 1810, Sweden in 1813, the Netherlands in 1814 and France in 1817. It should be noted that slavery per se continued to exist where it was already established. Britain was the first in implementing full emancipation, in 1833, while Spain was to be the last, in 1886. Several of these nations were however notably unenthusiastic – to say the least – about enforcement of the trading ban. Cuba (a Spanish colony) and Brazil in particular continued to have a high demand for slaves and Spanish and Portuguese slaver vessels figure prominently in all accounts of suppression. Out of the estimated 11 million total slaves who survived shipment from Africa to the Americas, some 4 million, nearly 40 percent of the total, went to Brazil. 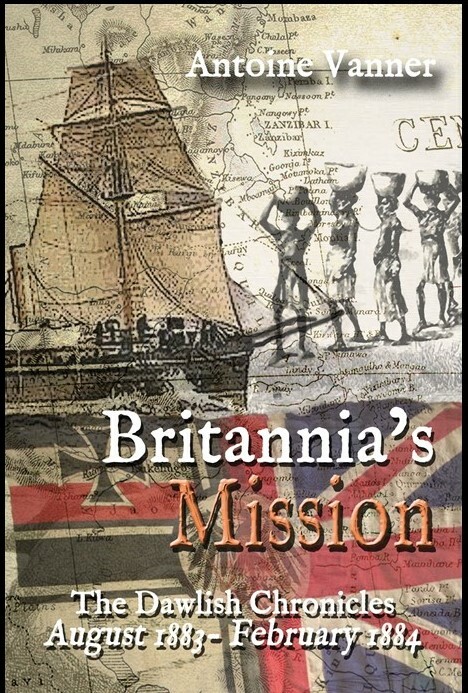 Between 1815, at the end of the Napoleonic Wars, and 1860, the Royal Navy’s Anti-Slavery Squadron – most of the time based at what would become Lagos, Nigeria – carried the greatest burden in combating the Atlantic Slave Trade. When this declined, British efforts, up to around 1890, were shifted to combating the Indian Ocean slave trade between East Africa and Arabia. 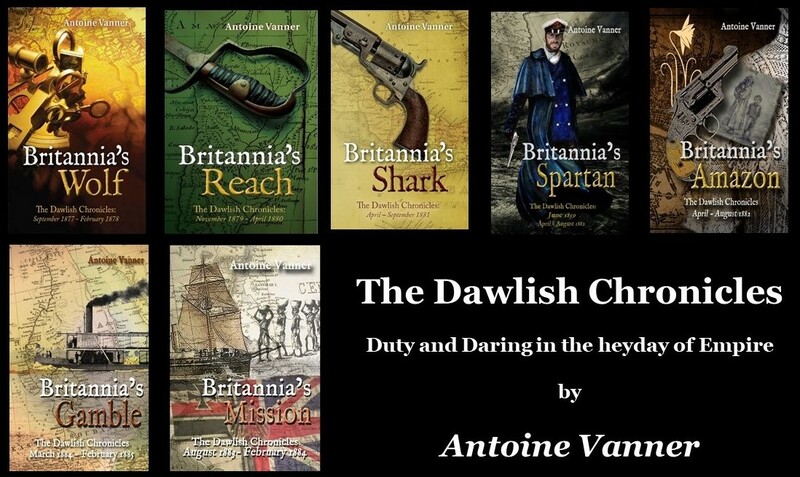 (The new Dawlish Chronicles novel, Britannia’s Mission, set in 1883-84, deals with this later campaign. It is due for publication on 30 November 2018 and before then the Kindle version is available for pre-order at a special introductory price. See details at bottom of this article). An earlier blog (click here if you did not read it previously) pointed out just how dangerous such service could be – an annual mortality rate of 55 per 1,000 men for Royal Navy crews operating off West Africa, compared with 10 for fleets in British waters or in the Mediterranean. Disease, particularly malaria, was a killer, but so too were the ruthless masters and crews of the slave ships they were chasing. These vessels were usually small, fast and often armed, and the condition in which their human cargoes were confined shamed Humanity. There were cases of some 900 people in a single hold and decks being battened down during storms. Stories were told of more than a third of the slaves being found dead from suffocation when the hatches were opened after a hurricane and that rather than have the trouble of hauling up the dead bodies, the hatches were battened down again. A third more might die during the remainder of the voyage. The previous blog mentioned told of one instance that typified the dangers to the Anti-Slavery Squadron and events in 1847, as described below, were to provide another case. 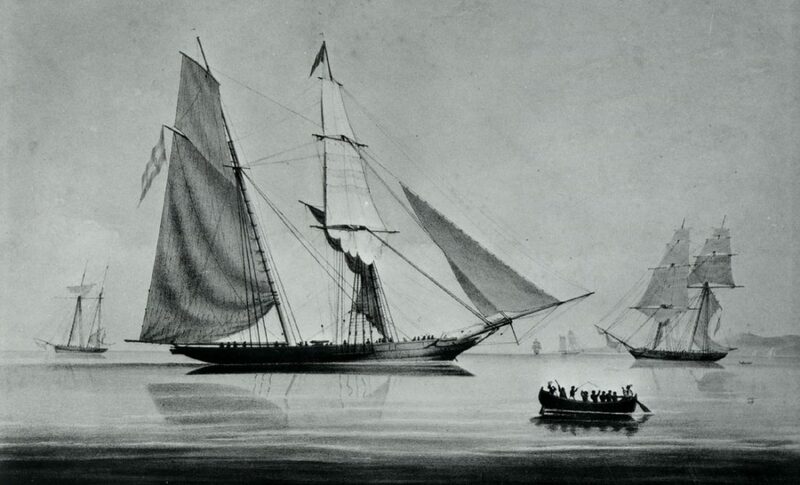 In July 1847 a Brazilian slaver, the brigantine Romeo Primero, had been captured off West Africa by the brig-sloops HMS Waterwitch and HMS Rapid. 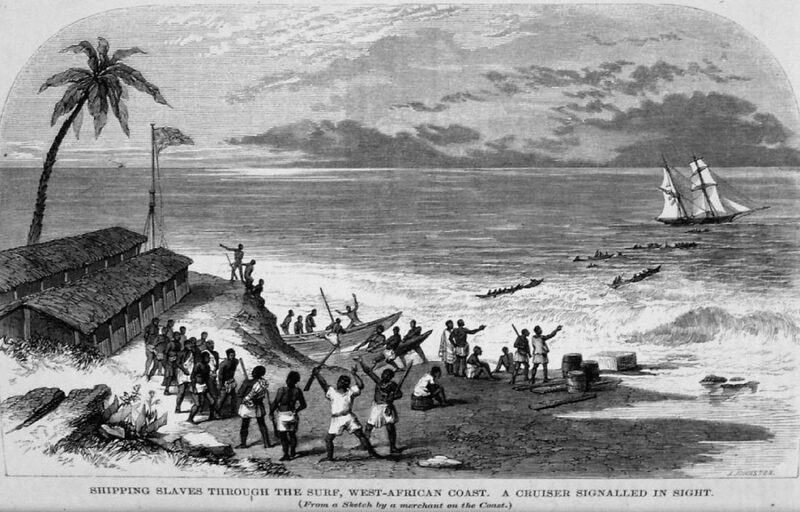 The procedure, once the slaves had been released, was for the fate of the ship – usually resale by the government – was to be decided by a court established for the purpose. In this instance the “adjudication” was to take place at the island of St. Helena. The Romeo Primero was being sailed by a Royal Navy prize-crew consisting of a Lieutenant W.G. Mansfield and four seamen. The four Brazilian slavers who had manned the vessel before capture were kept on board as prisoners but – unwisely – were allowed the freedom of the ship during daytime. Unfavourable winds caused Mansfield to decide to abandon the attempt to reach St. Helena and to head instead for the nearer British base in Sierra Leone. Around midday on 11th August Mansfield was on deck, presumably at the helm, two of the British seamen were aloft and the two others were sleeping in their bunks in the same space as the small-arms were stowed. Why Mansfield and his men had not carried their weapons at all times is unclear – it would seem to have been a wide precaution in the circumstances. One of the prisoners now moved up behind the unsuspecting Mansfield and attacked him with an axe used for chopping firewood. 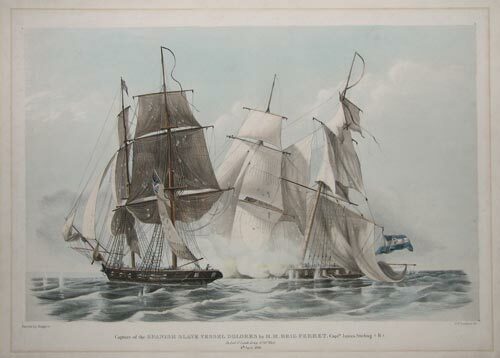 The other three prisoners simultaneously attacked the seamen in their bunks, wounding both. They managed somehow to get on deck and here one of the two died of his injuries. Lieutenant Mansfield, meanwhile, had survived the initial attack and had grabbed a piece of firewood to defend himself. A prisoner armed with a cutlass now attacked him and inflicted nine separate wounds, their severity mitigated only by the fact that Mansfield was wearing a greatcoat. The two sailors – both of them unarmed – who had been aloft now arrived on deck and Mansfield, weak from profuse bleeding, struggled towards them. The surviving man who had been sleeping below had also reached them. None were armed and there was nothing for it but to attack their attackers with their bare hands. It says much for the strength of the seamen of the era that this proved successful. One of the prisoners was thrown overboard in the scuffle and the others were overpowered. The seamen were about to send the three remaining after him when Mansfield, who was all but unconscious, revived enough to order them to be kept alive so as to face trial at Sierra Leone. It took some three weeks – until 1st of September – for the Romeo Primero to reach Freetown. The voyage must have been a nightmare. Mansfield hovered at death’s door for several days and even when he recovered slightly was all but incapable for some time later. His three surviving crew were all wounded and one was to die of his injuries after reaching port while another, already weakened, succumbed to malaria. It is unclear what became of the three prisoners – one cannot feel pity if they had been hanged, as was most likely. Admirable as his behaviour was after being attacked, one cannot but regard Mansfield as having been anything other than lax and complacent in the extreme. He recovered but it was due to his slackness that three of his four men died and that he himself nearly went with them. One trusts that his experience would have proved a warning to other officers assigned similar tasks. It is therefore with surprise that one learns that he was promoted to Commander within the year! Kindle version is available for pre-order at introduction price up to publication date. Upper Canada was first in emancipation. 1793. And something to be very proud of which to have been a leader. One wonders how rational, and in their eyes ethical, people elsewhere could ever have supported the institution of slavery – and as late as 1888 for the Spanish.